Construction - Sun Builders Co.
Sun Builders Co. has built its reputation on delivering projects on time and under budget. 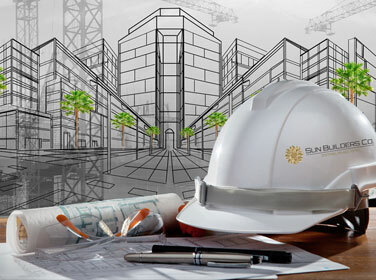 Our unique construction management approach makes Sun Builders effective. From Pre-Construction or bid award to implementing the actual construction, the same experienced team remains in charge for information continuity and is seam-less to the client. Sun Builders ancillary departments are flexible and can adapt to any client’s project management or lending institution requirements. Our experienced Superintendents jointly share responsibility as Project Manager for each project which provides wider responsibility and greater control over field operations. This enables real time, on site decision making which advances the project schedule, saving the client time and money. Sun Builders utilizes current technology in the main office and in the field to provide an up-to-date and efficient project. We guarantee and stand behind our work which provides clients with piece of mind for continued follow-up support.